Discussion in 'Off Topic' started by Djstorm100, Oct 19, 2018. Button Pusher and Donnie D like this. Button Pusher, Donnie D and htperry like this. Hot glue will fix that. Button Pusher and htperry like this. It's already back in the air. Got a new body for cheap. Put the foam in hotwater to relax it, added toothpicks and clue those in, followed by CA clue Fixed this one and about to buy another cub I found very cheap. This sh** is addicting..lol Dad seems like he wants to fly so that's why I'm looking at another plane. Button Pusher, Donnie D, Flashpoint and 1 other person like this. Yea I am looking at getting me another one myself. I started with a Gentlelady sailplane. I slope soared that on any ridge with wind I could find for lift. Got better and built faster slope soars and bigger thermal lift sail planes I'd use a high start to launch. Started on 1/4 scales after that with a Telemaster ( to tow up other sailplanes ) then a Piper J-3 cub.. I'm looking at one of these, a tiny version of the 2 meter beast I flew this weekend. I figure it'll be a super convenient grab and go plane that will fit in any car, and really easy to fly. 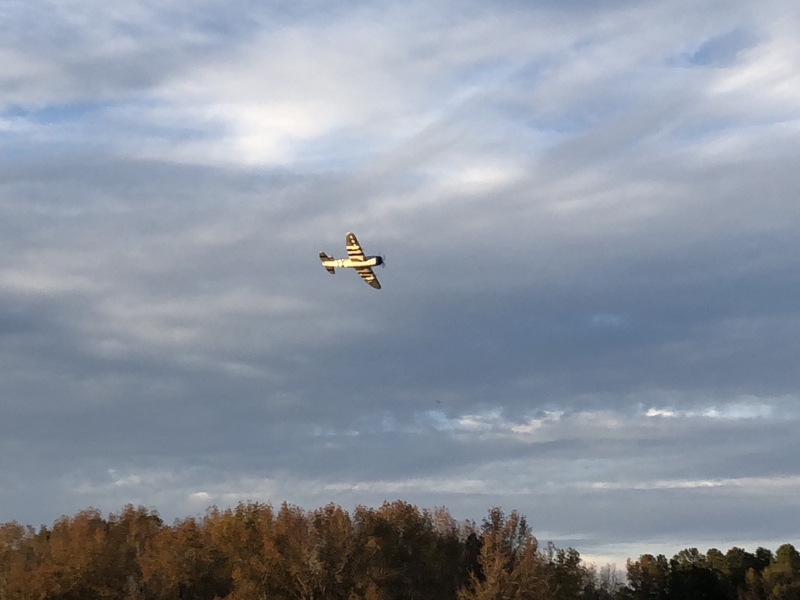 The only thing bad about small planes is that they are squirrely in just about any wind, but that can be solved with a gyro. I used to fly cheap 3 channels back on grad school. I haven't flown in years except for small, cheap indoor helicopters. There's an RC club that meets within walking distance of my house, so I need to get back into the hobby sooner or later. i had a skyhunter in that size, ever since i told myself they have to be bigger than 1200mm lol. This planes flies so easy. I flew in low rate with a training box as I really didn't know what to expect. I love..love this bird. Doesn't need the amount of input as the Carbon Cub tail dragger, obviously. I just flew in clockwise/counter-clockwise pattern to get a feel for it, some figure 8's. Did a barrel roll and loop, inline twist. I'm grinning ear to ear. Amps 13, steelciocc, ES44AC and 6 others like this. steelciocc, ES44AC, Button Pusher and 3 others like this. 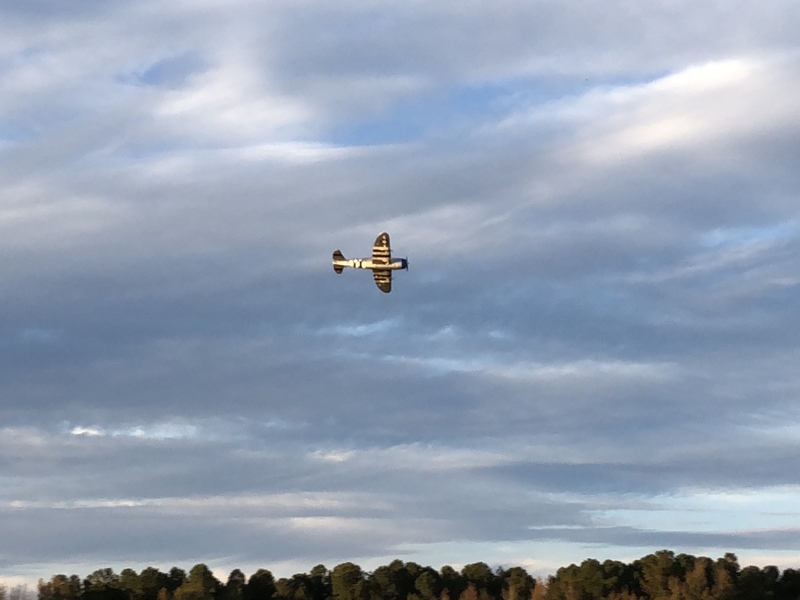 Looks like a Spitfire but has US markings? Wingspan? I was flying this VTOL yesterday. Wingspan is ~11 feet. For perspective, the hover props are 24" and pusher prop 20", the battery system is 2 x 22,000 mAh 6S batteries - 50v system. It will climb at a rate of 25 MPH, dive 110+ MPH and cruise at 80+ MPH. It's a versatile beast. Amps 13, ES44AC, Button Pusher and 3 others like this. Would love to see this fly. Button Pusher, htperry and Donnie D like this. I do have a multi engine I'm currently building...it's yuge. Raining too hard to fly today. Maintenance time. Button Pusher, Donnie D and DirtySCREW like this. Definitely has the underside of a Mustang, but that wing looks like it came off a Spitfire to me. That thing is a beast!! Is it a kit? @htperry how did you get those props to index that way in flight? @Djstorm100 that 47D is purty. In a word - yes. Pieces come in a coffin size box. It's quite a box of parts - of course, made in China, no instructions. There's a lot to build, make and fabricate - then tune. It's just the wind. 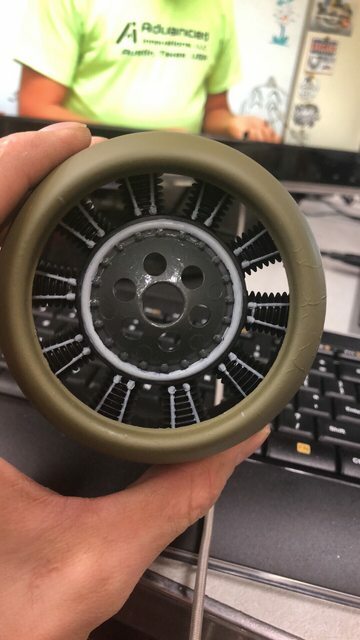 They freewheel in plane mode. Button Pusher and tod0987 like this. 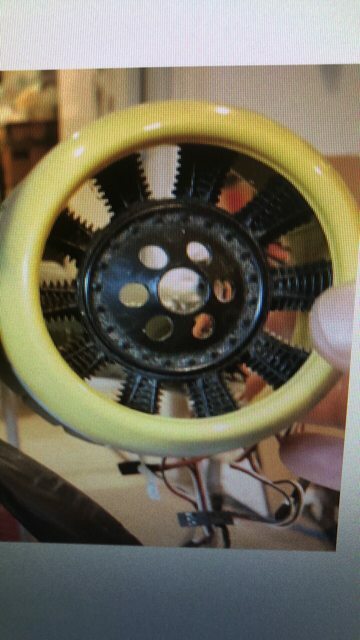 What the kit to build that.. LOL In the picture with your laptop, looks like under motor is pulley (like off a car). Had me thinking..."that thing is powered by a belt?!?" Plane I'm currently build is going to be sweet. I'm so excited. Djstorm100 has two planes here. 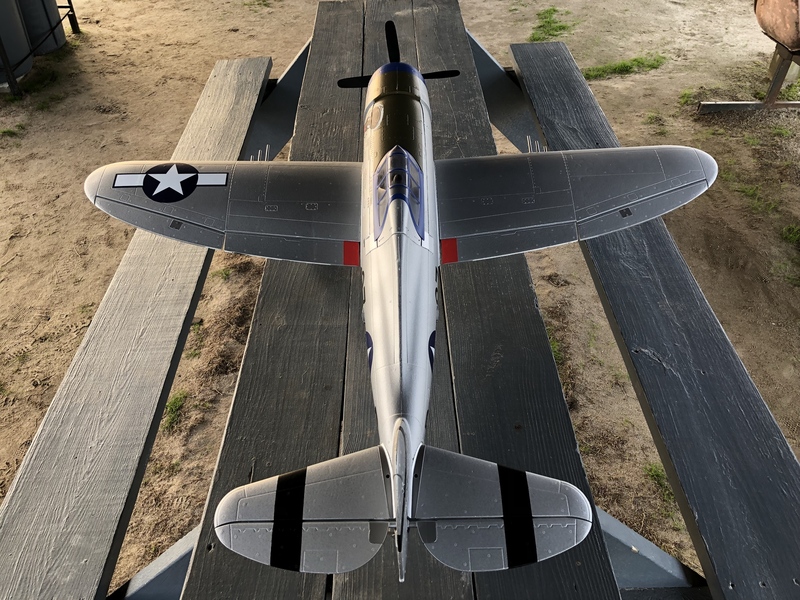 The one on the picnic table and flying with the invasion stripes on the underside of the wings is a P-47. 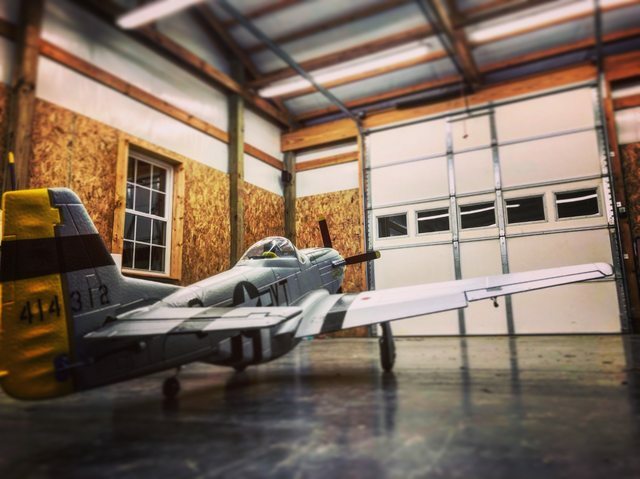 In his garage on the floor with the yellow tail and belly scoop is a P-51d (bubble canopy). Ah, I was looking at the P-47, at least at first. Thanks for clearing that up. Broke out my helicopters a few days ago. I built them all an converted them to electric. Unfortunately, I'm gonna have to buy a couple of batterys (too weak to do much, and they ain't cheap) for the two 600 size birds. 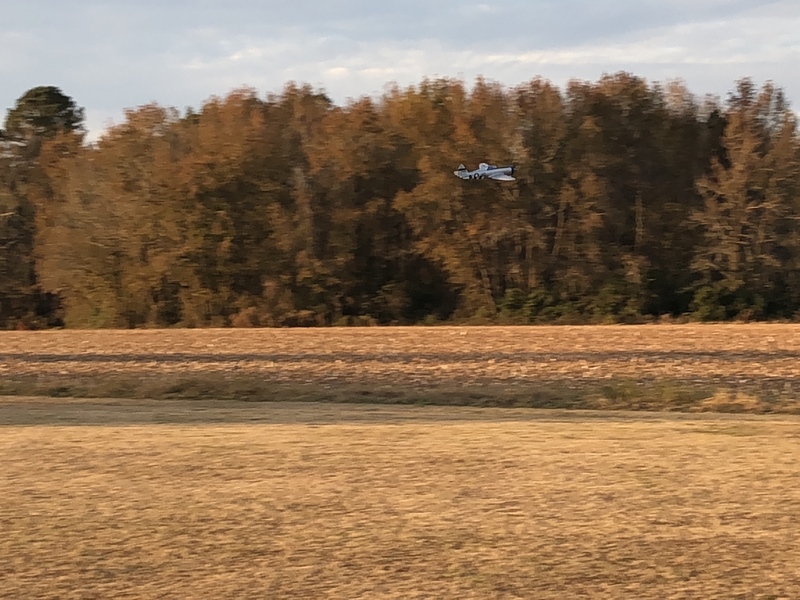 The batts for my little fixed pitch bird have held up OK.
Beautiful day to fly today - after a couple days of torrential rains. So good to see blue skies. I'm surprised Mr TopRudder isn' t here yet! Got the P51D in the air. Felt nice but after the 3rd barrel roll, a alerion servo died. Rolled over in to the ground. 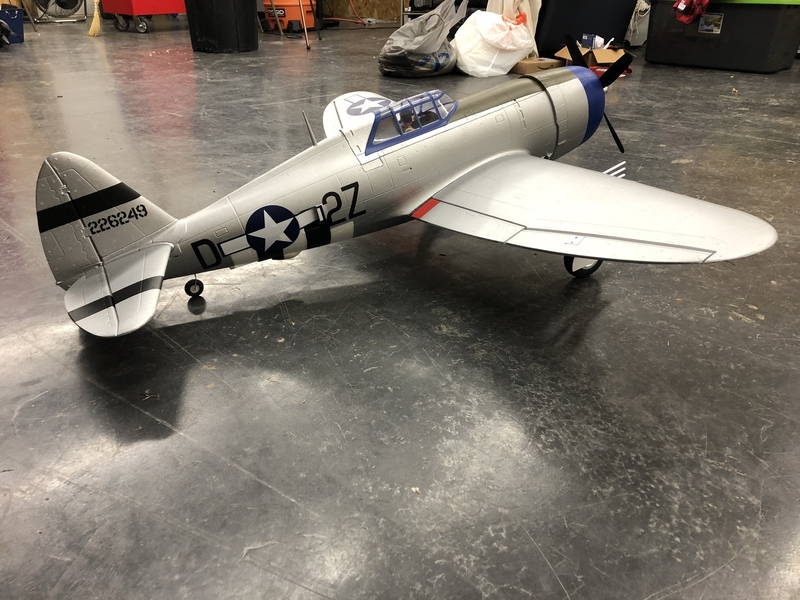 Need new wing, fuselage has some rash but, it add character. htperry and tod0987 like this. I like these guys. I binged watched them a while back. The flying toaster and cinderblock were pretty funny. If I get back into RC I think I'm going to try something from these guys. I have all the electronics already somewhere. I've got one of these sitting in the box, just way too busy to slap it together. ES44AC and htperry like this. I found them today, when I get more free time, someday. I like their shop and how they explain what they are doing. yea and some of the guys have some pretty good aerodynamics background. They push the boundaries of what can be done and if successful they'll make a kit. The flying Little-tikes car was pretty epic. I'm not busy.... I'll do it ! Been building a project I've been keeping it low key. However..I hate painting..but it does look 100x better. JimP42, Button Pusher, htperry and 2 others like this. Beautiful day to make a video. A co-worker and I spent a few hours flying for video and edited this for our work. I work for RADeCO in the R&D of that craft and other unmanned autonomous ground/sea/air vehicles. It was a pretty day, so Luke and I decided to make a video that the boss okay'd for public use. Recently, the bosses have decided it's okay to talk a bit about our products online. RADeCO is a 50 year old company in CT and not used to the online world. The skunk works is here - where I work and the magic happens. Does 400 mile range mean 800 mile round trip or 400 one way? 400 is really impressive for electric in my book in any case.